This topic contains 0 replies, has 0 voices, and was last updated by ismat 1 year, 6 months ago. What sort of house you like and want to live in? Describe an English lecture that you enjoyed. Do you think its important to learn multiple languages? Why Certain organisations give advantage to multi-lingual people? What is the downside of learning multiple languages? Why people learn more then one languages? and few more language learning related questions.. Task 2: Traffic Congestion is becoming a serious problem. See people believe that this can be solved by broadening the roads. Also, for the benefit of others, I have observed that level of test difficulty flips on alternative test dates. So if my current test was easy then the upcoming test will be very tough. Though don’t have much evidence to support it, other than the fact that I observed this when I appeared in 4 tests in a row to get my required band. 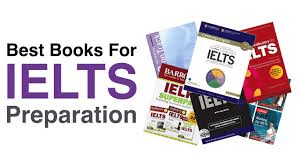 ALL THE BEST to every one out there preparing for their IELTS tests!